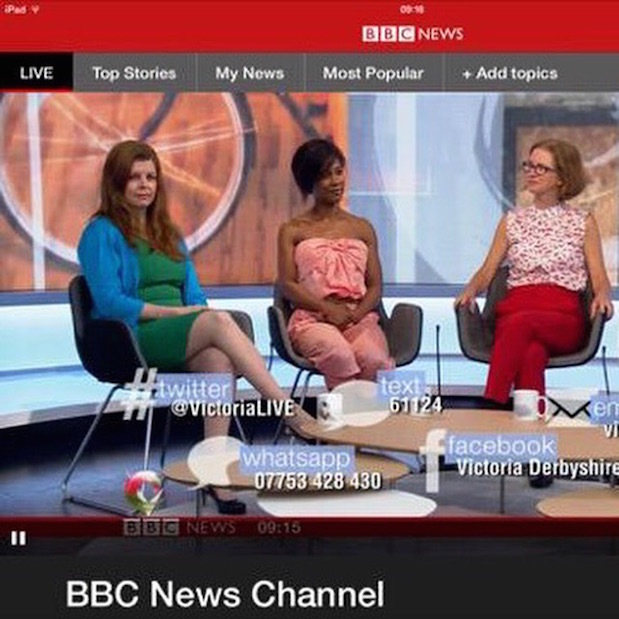 Before appearing on the BBC2 and BBC News programme “Victoria Derbyshire Show” this morning. I collected together some notes on what I thought and as always, you never get to give all your opinions in a debate. We do detoxify every day and we have many ways to do that through the liver, kidneys, lungs, bowel and skin. In most people this is fine and does a good job. However, detoxification can be compromised with the following: fatty liver, asthma, eczema, psoriasis, kidney disease, IBS, taking lots of medication, caffeine, alcohol, nicotine, the toxins we inhale, ingest and put on our skin. In an ideal world we should detox every night and we know that shift workers have higher incidences of cancer for example which may be because their natural rhythms are disrupted. We know that one job melatonin performs as well as helping us to sleep is to act as an antioxidant in the brain and washing out the free radicals. Do we need to go on a detox? For some a short ‘detox’ or ‘cleanse’ is helpful. We don’t need gimmicky cures or treatments to achieve this. We know food is powerful – grapefruit for example speeds up phase 1 detoxification in the liver. This may make medication stronger and more toxic which is why it may even be contra-indicated. Should anyone NOT go on a detox? If you are pregnant or breastfeeding I would not go on a drastic detox programme. That said, eating clean would be advisable. Surely a detox is really just eating healthily which we are meant to do anyway? Detox is an opportunity to break some food/drink addictions: caffeine, sugar, alcohol, gluten, dairy. Eating clean for a minimum of a week can be seen as an elimination diet. Cravings subside, tastebuds change and our desire for these foods changes. You would then put them back into your diet one at a time with a 72 hour gap between each one and test your reactions. How can you eat clean? For best results I would recommend eating three meals a day – protein: chicken, fish, pulses, vegan protein powder, coconut yoghurt, almond milk; fresh unprocessed Low GL fruit & vegetables, 2 litres of water; good fats: nuts, seeds, avocado, coconut/olive oil and a very small portion of gluten free grains such as quinoa, brown rice, buckwheat. Can juicing be part of eating clean? Yes it can, provided you follow my guidelines. Choose low sugar/high pectin fruits: apples, oranges, limes, lemons plus greens: kale, spinach, cucumber, mint, basil, lettuce, sugar snap peas, Broccoli stems, basically anything green! You can also add carrots and beetroots but they are higher in sugar than the green stuff. Also add lots of ginger root! Tastes amazing and so good for you. How long your juice lasts for is down to the quality of your juicer. The more you invest in it the better. Jason Vale – The Juice Master has some great reviews on his site explaining the differences. You want to keep as much of the nutrients and prevent oxidation. Always store in stainless steel vacuum flasks in the fridge and for no longer than 24 hours. Juicing can be especially helpful if on a liquid only diet to get high level of nutrients in. Don’t confuse juicing with fruit juice you see in the supermarket. Orange Juice (OJ) is made just from the juice – no pectin – and has been pasteurised. That’s why the shelf life is so long!!! So if you are an OJ fan, I suggest you eat an orange instead which contains the juice and fibre/pectin. Top Tip – When putting citrus fruits through a juicer remove zest with a potato peeler and then juice the fruit for maximum pectin content. Freeze the peelings in a box for other recipes. If you want to try juicing without investing in a juicer to start with there are some companies that will provide you with all the juices you need for a 3 day juice fast. In summary, eating clean is far better for your body than hoping a 3 day detox, every 6 months will undo all the damage! You can include juicing as part of clean eating and if you are going to juice do it properly. ← Can Fruit Make You Fat?